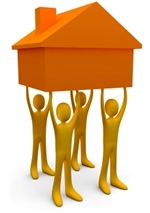 Coral Springs Movers is family owned and operated by ABA Moving of Miami, Florida. With all the stress of moving, Coral Springs Movers will alleviate all your worries and take extra care of your valuables. With over 20 years of experience, our Coral Springs moving company has been providing quality service at the lowest prices to all of South Florida. Whether you are planning a residential move or a corporate relocation, Coral Springs Movers will get you there hassle free. From Palm Beach, to anywhere in Florida or nationwide, give us a call for all your moving needs. We are fully insured, licensed and bonded in the state of Florida. Call us today at (888) 653-5431 for a free quote or in-house estimate. Copyright © 2019 Coral Springs Movers. All rights reserved.